1 of 2 In a small bowl, whisk together apple cider, ginger, mustard and shallot. Gradually whisk in oil. 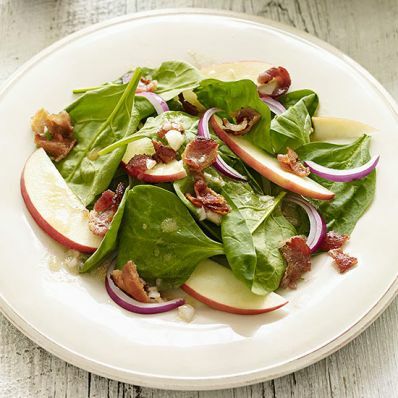 2 of 2 In a large bowl, combine spinach, apples and onion. Toss with dressing and season with salt. Fold in crumbled bacon and serve.